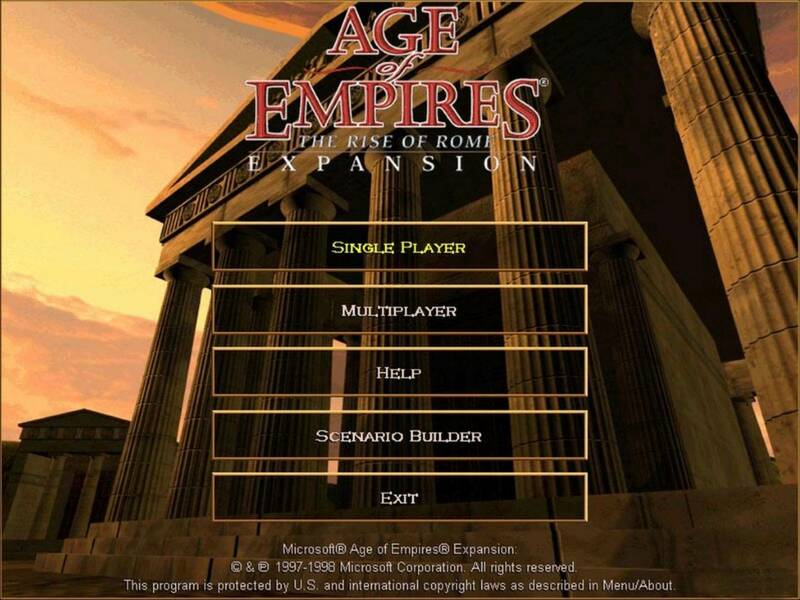 Age of Empires I: The Rise of Rome is the official expansion pack of Age of Empires I, the first game of the eponymous real time strategy-based video game franchise developed by Ensemble Studios for Microsoft. It was released on October 31, 1998, one year later after the initial release of Age of Empires I. Just like its predecessor, it uses the 2D Genie engine. In terms of its main focus, the expansion pack is based on the rise of the Roman empire and comes with the addition of the Roman civilisation as well as with the Roman architectural type. The brand new Roman architectural type is shared by four playable civilisations as follows: the Romans, the Palmyrans, the Macedonians as well as the Carthaginians. To complete the additions, the game developers designed four new researchable technologies, five new units, four new random maps available at the single-player game mode, enlarged map sizes, and an improved pathfinding for all units. A new soundtrack was composed for the expansion, replacing entirely the one previously existent in the first installment of the series. Age of Empires I: The Rise of Rome comes with wisely-made additions in terms of gameplay as well. Unit queuing, the option of raising population limit beyond 50 (which was the previous maximum) in multiplayer games, balance damage of the catapults on buildings and other units, as well as plenty other interface tweaks fixed the main gameplay issues of the initial game.